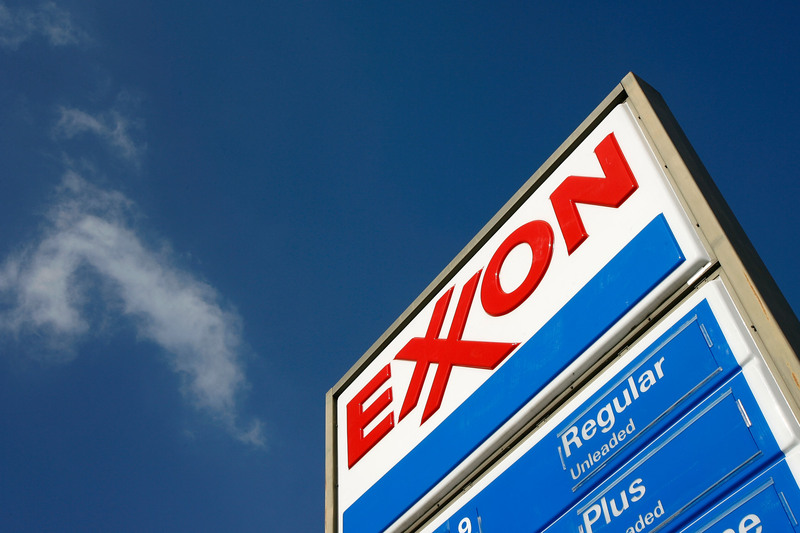 Exxon is under pressure – and it’s not only because of low oil prices. Rather it’s climate change and the associated shareholder and legal scrutiny that has put Exxon’s back firmly to the wall. Following fast on the news that the US Securities and Exchange Commission has forced Exxon to allow shareholder votes on climate resolutions, two more US Attorneys General (AG) have joined those of New York and California in confirming investigations into Exxon’s climate change disclosures. The idea of a US AG investigating a company of such political and economic heft – on climate change – once seemed unimaginable. Maybe it’s that ‘unimaginability’ that has resulted in Exxon’s continued mishandling of its response to the recent climate-focused shareholder actions, journalistic exposés, and legal investigations. With every development, it increasingly appears that Exxon is wholly unequipped to deal with the tectonic political, legal, and societal shifts we’re witnessing on climate action. The old certainty of a pro-industry White House, whoever the occupant, is fast eroding. Shareholders are starting to think beyond the next dividend cheque to the long-term sustainability – in financial terms – of this 19th century industry. And the societal standing of the industry appears destined to follow tobacco’s trajectory. This is very much a brave new world for Exxon. Its navigation attempts to date suggest it is not in possession of the correct map. One wonders if Exxon regrets its decision to forego membership of the European-led Oil and Gas Climate Initiative – a seemingly public relations driven effort to position oil companies as an essential part of the solution to climate change. Instead Exxon and its US counterparts considered it unnecessary and went it alone. Under increasing attack, Exxon may have preferred some comforting company. But looking at Exxon’s reaction to recent events one doesn’t sense any acknowledgement of a missed opportunity. Let’s take its reaction to shareholder efforts to force greater disclosure on climate risk through a shareholder resolution. Shareholders are increasingly aware of the fundamental organisational challenge that climate risk presents to oil companies. But rather than follow Shell and BP’s tactical masterstroke of supporting similar resolutions, Exxon asked the Securities and Exchange Commission (SEC) to exclude its resolution from even going to a vote. Did Exxon really think the SEC – itself facing calls from investors to do more on climate – would rule in its favour? If so, it looks like Exxon is using an old playbook for a game whose rules have fundamentally changed. Exxon’s seemingly out of date tactics are a worrying proxy for the company’s ability to handle the far greater risk posed by a low carbon transition. The SEC rejected Exxon’s arguments and by allowing votes on key climate change resolutions have provided the opportunity for shareholders to make their views clear. Investors need to ensure Exxon’s board are using the right map to navigate that pathway or at the very least admit to currently following the wrong one. Then there’s the company’s initial response to the allegations made by Columbia journalism students via the Los Angeles Times about what Exxon knew and disclosed about climate change. After referencing Exxon and the university’s “numerous and productive relationships”, Cohen finished by demanding a formal inquiry. In response Steven Coll, the dean of Columbia Journalism School issued a scathing letter that concluded: “What your letter really advocates is that the factual information accurately reported in the article, and unchallenged by you, be interpreted differently.” Exxon’s response was criticised by crisis management experts. The oil industry’s PR apparatus also rose up in misguided defense of Exxon – via the industry-funded “Energy in Depth” site – targeting philanthropists including the Rockefeller Brothers Fund and Rockefeller Family Fund, “accusing” them of funding the InsideClimate News and Columbia reports. Exxon followed up by calling the reports “discredited” and the funders “activists”. It’s not news that foundations fund public interest investigative journalism -and it doesn’t make funders activists just because the target doesn’t like the findings – but that didn’t stop Exxon from trying to drum up a scandal that doesn’t exist. Exxon appears to see no irony in it and its industry peers funnelling millions of dollars to those fighting climate mitigation and challenging climate science. And that brings us to the company’s official response to the latest AG investigations – those of Massachusetts and the US Virgin Islands. Exxon appears to believe no investigations should even take place. This is despite the very serious allegations going to securities and consumer laws. That’s how the law works: allegation – investigation – finding. But to Exxon this is all a case of “politically motivated” actions and “discredited reporting”’ that should be automatically dismissed. In a statement which kicks off with the warning that “we are actively assessing all legal options”, Exxon goes onto to warn of the ‘chilling effect’ of the investigations on company research. The achievement of the ambition expressed in the Paris Agreement requires transformative legislation and corporate strategy. In that context one might legitimately question whose actions might have the most societally detrimental chilling effect on tackling climate change – Exxon’s or the Attorneys General’s. Louise Rouse is an investment campaign consultant to Greenpeace UK. Naomi Ages is attorney and campaigner with Greenpeace USA.